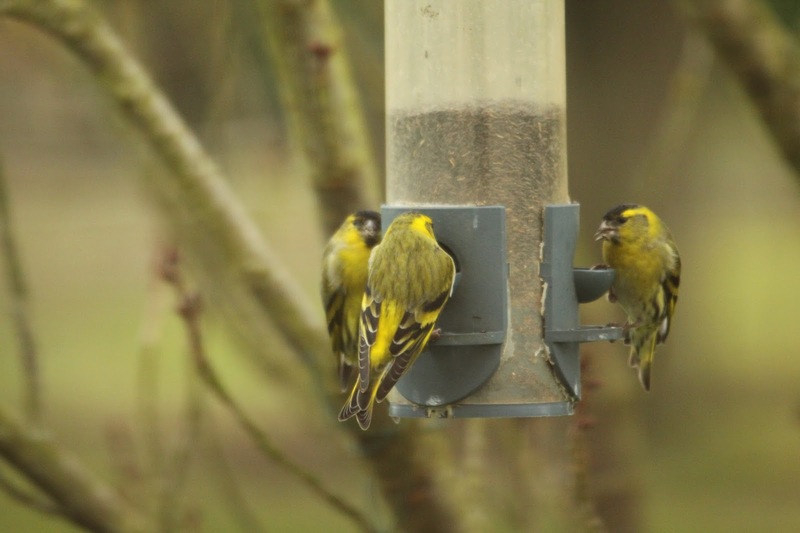 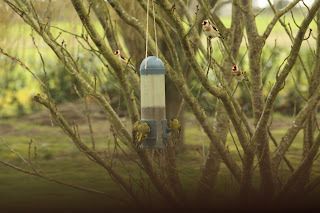 Following on from the previous two blogs, the poor Goldfinches have really had their noses pushed out. We usually get a goodly number....but, normally, they stay up in the alder canopy. This year, they are also here in good numbers....and have taken to the feeders like ducks to water!! 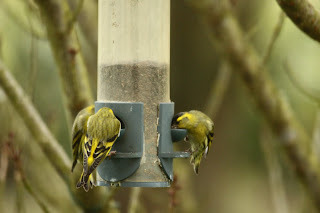 even the Greenfinches....such as are....have been pushed out! Thanks Tim. 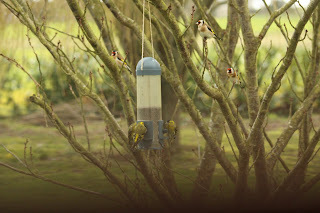 Nature is strange!